Mat played consistently in goal and was eventually signed as a schoolboy with Swindon Town, however he was disappointed at sixteen not to be offered an apprenticeship. Matt was resilient and continued to work hard, and while playing for his County team (Gloucestershire) he was spotted by a Torquay United scout and was offered a two-year apprenticeship. After just a few short months, Matt was given his first team debut as the youngsest player to play for Torquay United, against Wigan Athletic. 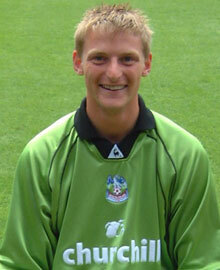 Matt then signed professionally for Torquay at eighteen, and became their immediate first team keeper, playing all season. 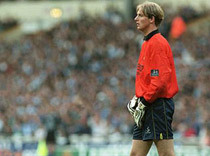 In his first season as a professional he played in the play off finals at Wembley Stadium against Colchester United. Even though Torquay got beat 1-0, Matt started getting rave reviews and started to attract the interest of bigger clubs. Matt’s most memorable moment in the three years at Crystal palace was playing in the semi final against Liverpool at Anfield in the Coca cola cup. Then for family reasons Matt decided to move to Ireland to Bray Wanderers where he won player of the year in his first season!!! 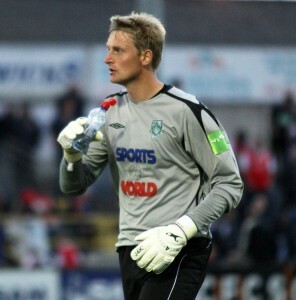 The following season he moved to league champions (Bohemians) where he stayed for nearly five years playing in the ‘Champions League’ most memorably against Rosenberg. Matt went on to play for UCD (Matt Scored a Dramtic equalising goal while at UCD), Bohemians(second spell where he won the league & Cup double), Dundalk and Bray wanderers(second spell, where Matt helped keep them in the Premier Division. Matt has played over 300 professional league and cup games too date, Matt has now decided at the age 37 to retire and concentrate on J4K and put all his vast experience to help budding young Irish goalkeepers hopefully emulate his success. Matt has also worked with fellow premiership/international goalkeepers Dean Keily, Kevin Miller, Kevin Pressman (Now J4K South Yorkshire), Fraser Digby,Stuart Taylor and Goalkeeper coaches Len bond, Malcolm Webster, Dermot O’Neil and Martin Hodge.